Houston is known to much of the world as the home of sports teams such as the Texans and the Rockets. However, you will find that there is so much more to this large southern town when you have decided to make it your home. Still, you will also have lots to do when it comes to adjusting to your new life. Even before you are settled, you may find that there are several hurdles to overcome so that you can enjoy living your life in one of Texas’ largest cities. 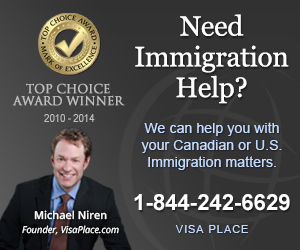 You can run into some unexpected problems with immigration or any other kinds of problems. Where do you go when this happens? You should try to anticipate the unexpected before it happens so that you can adequately prepare. In this case, you could use a Houston relocation guide so that you have information handy. Your guide can let you know that you can go to a source like Canuck Abroad to find out what you can do about immigration issues should they arise. Anticipating problems is not the only component of your Houston relocation guide. You should prepare as best you can for the basic necessities that will help you settle into Texas and find a niche to suit your lifestyle preferences. You can look at neighborhoods such as Bellaire, Clear Lake, Downtown Houston, The Heights, Montrose, Pearland, River Oaks, Spring Branch, Sugar Land, Westheimer and The Woodlands. You will find that Bellaire is one of the more upscale areas in the city while the historical area of Montrose has more of inclusive atmosphere with more cultural diversity and an artistic flair. When you are considering where you want to live in Houston, you should also consider the types of opportunities that will be available to you once you get there. Many of the same kinds of job opportunities you will find in many other major cities are available in Houston. There are also positions such as postdoctoral fellowships from Rice University if you are an academic as well as other entry and mid-level positions like data analysts or writers and editor for communications outlets based in the city. Even when you are concerned about living quarters and work, you should still take some time to include other information in your Houston relocation guide about what there is to do in Houston. Fortunately, there are areas such as the Downtown Theater District that include the entertainment megaplex Bayou Place. There are also other attractions like the Lyndon B. Johnson Space Center and the Downtown Aquarium for those more interested in nature. The Galleria Mall is the largest mall in Texas and the Kemah Boardwalk is the largest amusement park in the city.